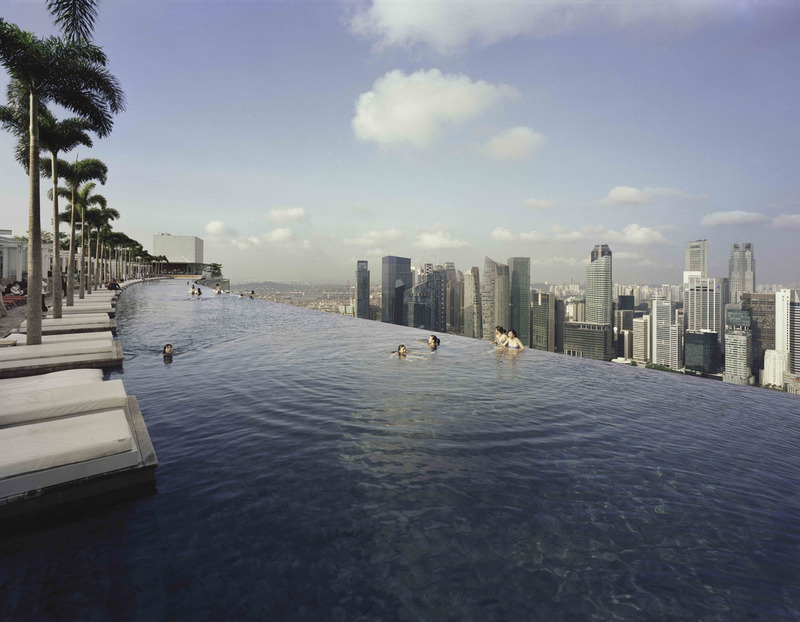 Designed by internationally renowned architect Moshe Safdie of Boston, Massachusetts, the three-acre (130,680 sq. 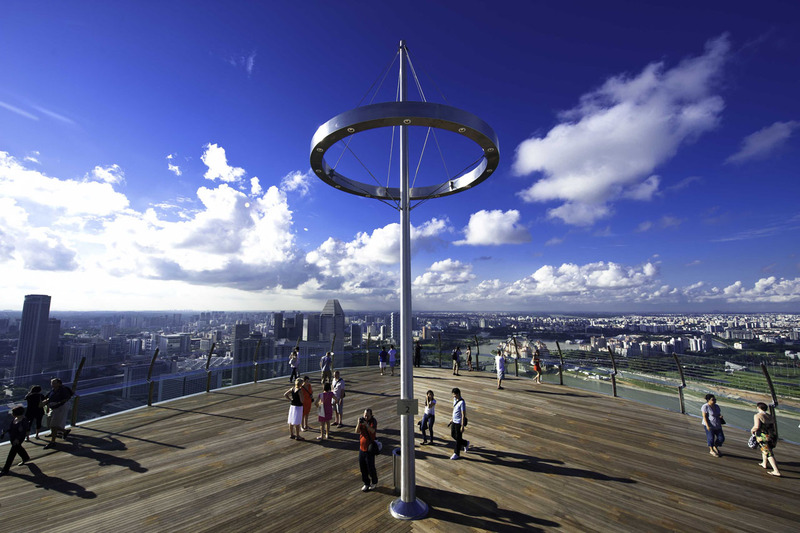 ft.) SkyPark is one of the largest outdoor observation decks in the world, with a capacity of 3,900 guests. To put its massive size in perspective, the SkyPark could accommodate three football fields or four-and-a-half A380 jumbo jets. A portion of the SkyPark’s immense square footage is occupied by a 15,026-sq. 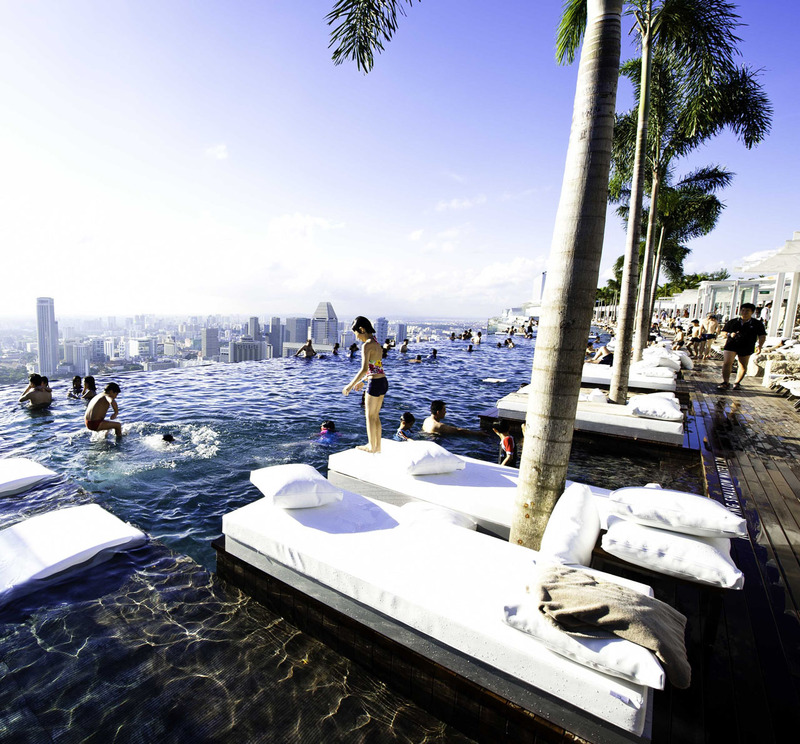 ft. infinity swimming pool with a 478' vanishing edge – the world’s largest outdoor pool at that height. 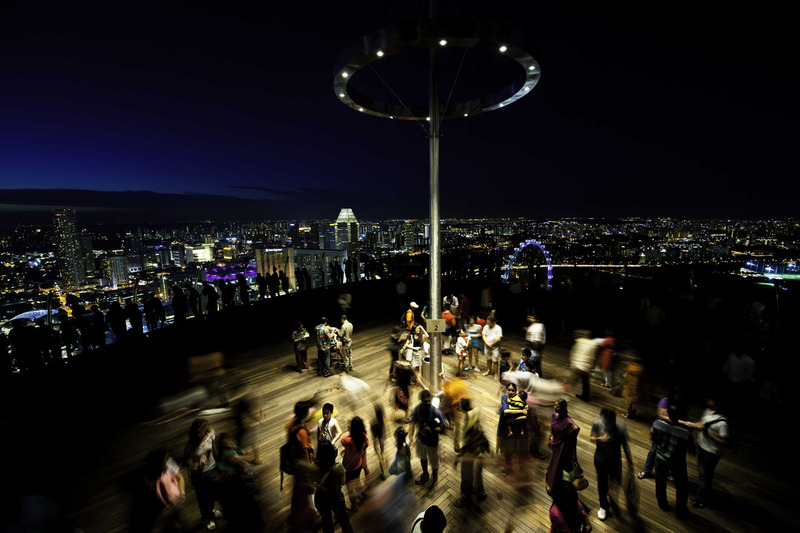 The SkyPark also features a public observation deck, jogging paths, an executive club lounge, the acclaimed restaurant Sky on 57, and KU DÉ TA Singapore, a lounge and restaurant that is hailed as the leading lifestyle venue in Asia. 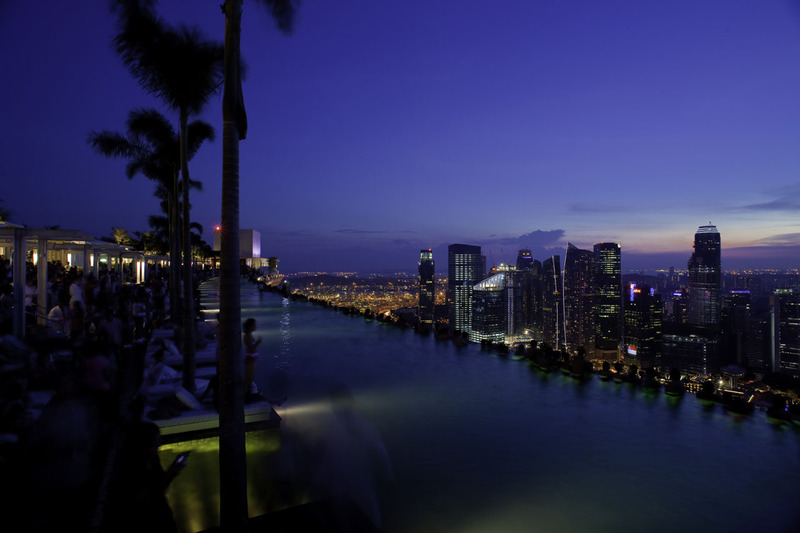 Although the SkyPark is perhaps the most impressive architectural landmark within the Marina Bay Sands urban district, it is certainly not the only awe-inspiring element of the $5.7 billion development. Located in the heart of the city’s Central Business District, the Marina Bay Sands complex features a luxury hotel, an atrium style casino, convention and expo facilities, an outdoor event plaza, glass and steel Crystal Pavilions with shops and bars, two theaters, the ArtScience Museum, and 800,000 sq. ft. of retail and restaurant space. 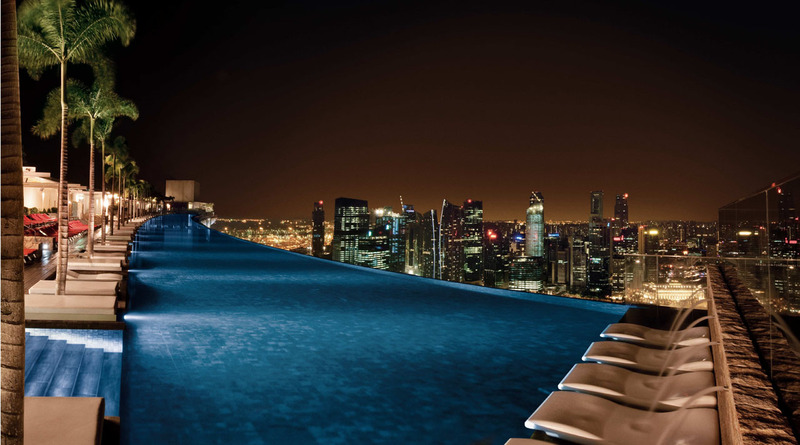 Since opening in May 2010, the Marina Bay Sands has transformed Singapore’s skyline, as well as its tourism landscape, and has become known as the leading business, leisure, and entertainment destination in Asia. Safdie used light, gardens, and outdoor space to help minimize the density and keep the 10 million sq. ft. complex from feeling crowded or overbearing. 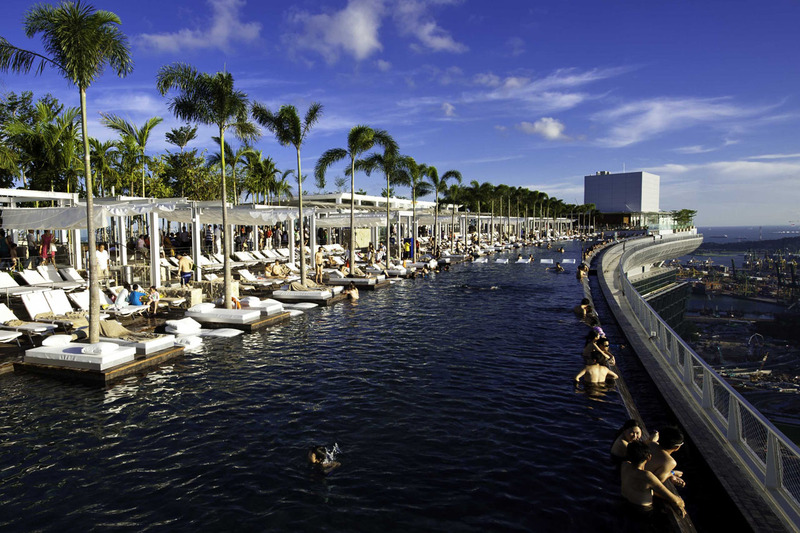 An emphasis was placed on the pedestrian street as the main hub of activity, and a series of layered gardens was used throughout the development to provide green space and connect the resort with its surroundings. Every level of the district features green space that is open to the public, and half of the roofs of the hotel, convention center, shopping mall, and casino complex feature trees and gardens. 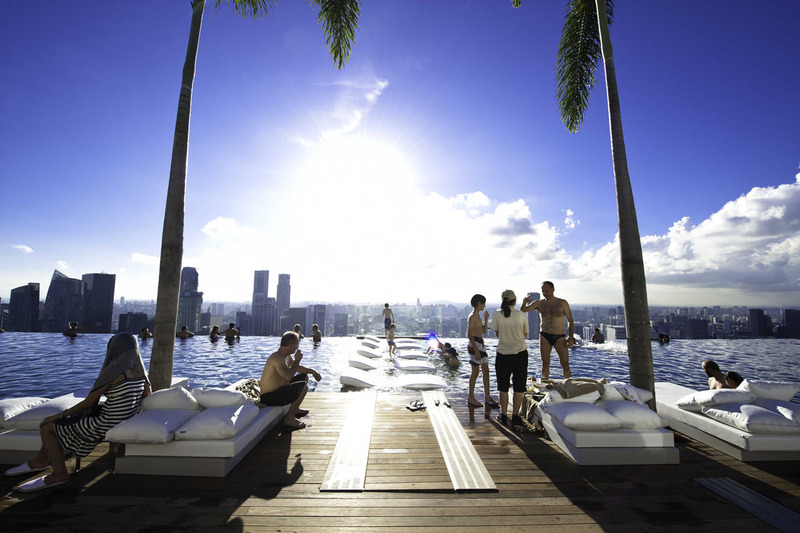 Due to its lush greenery, impressive infinity pool, acclaimed restaurant and entertainment venues, and stunning views, the Sands SkyPark has quickly become a local hotspot for residents, as well as a must-visit global tourist destination.